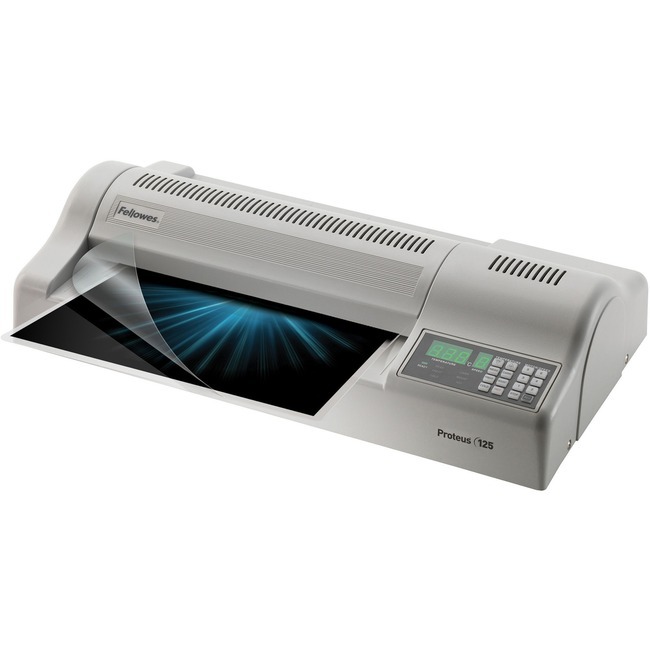 Professional, six-roller laminator is ideal for many users with high-volume needs. Use to laminate photos and documents up to 12-1/2" wide and up to 10 mil thick with no carrier. It also laminates documents and mounting board up to 1/10" thick. Reverse mode disengages pouches for re-centering or removal. Advanced, digital LED control panel accurately monitors lamination speed and temperature that adjust for individual preference. Laminator heats up in 3 minutes and laminates in about 15 seconds. Auto shutoff prevents overheating. Proteus 125 laminator also offers cold lamination.